Since launching two years ago, Asktenants.co.uk has been inundated with tenants keen to share their landlord ratings. We set up the site after our own bad experience of renting property and wanted to give tenants somewhere to go to speak out. Property ratings on Asktenants.co.uk gives them this forum. Asktenants.co.uk offers tenants a chance to review and rate their rental property and their landlord who are given the right to reply and address the information that is shared. Tenants are not always able to fight back in courts and local councils rarely takes action unless the issues are severe and there is a health hazard. What do property ratings tell us about living conditions of UK tenants? Landlord reviews left on the Asktenants.co.uk platform suggest, mould and damp are the biggest issues facing private tenants. More than a third of tenants, 36%, have unresolved mould or condensation problem while a third – 34%, are faced with an unresponsive and seemingly uncaring landlord. This is according to new stats on rating service Asktenants.co.uk. Stats are based on landlord ratings posted by tenants across the UK. Almost one in five also having to deal with pests like rats or mice. The site analyzed thousands of property reviews from across the UK finding more than a quarter, 29%, of tenants saying the deposit refund process was unfair. 10% suffered from unresolved rodent and pest issues and 18% were unable to open a window due to excessive noise from aircraft and traffic. 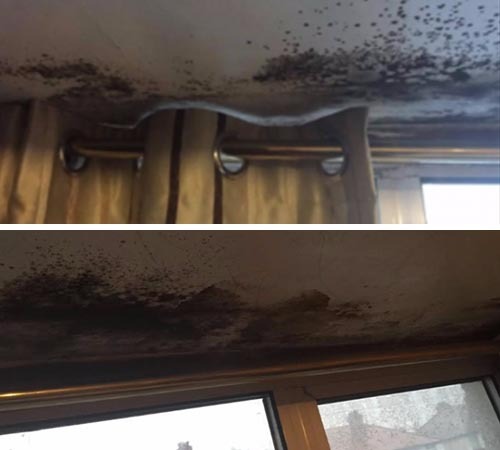 A tenant who reviewed their property on Asktenants.co.uk shared her property had so much mould to have the GP deem it unsafe for her children. To make it worse there also rat infestation in the property. On her property review, she shared that her landlord was unresponsive about these issues. Pictures of rated properties on Asktenants.co.uk showing sever mould and damp. Mould is caused by excessive moisture and damp in the structure of the property. 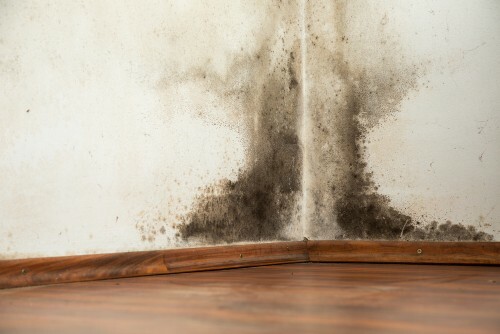 If this is caused by a structural problem like bad insulation and damp proofing, bad roofing or broken gutters, which allows water to enter from the outside and set in the walls and ceiling, the landlord must take full responsibility to repair the property and remove the mould. It’s worth mentioning that prolonged exposure to mould is a serious hazard to the lungs and severely deteriorates the condition of existing respiratory sicknesses like asthma. Data on Asktenants.co.uk shows 10% of tenants experience problems with pests infestations, mainly rats. Many of them experience potentially dangerous electricals/wiring due to rats chewing through the wires and cables. 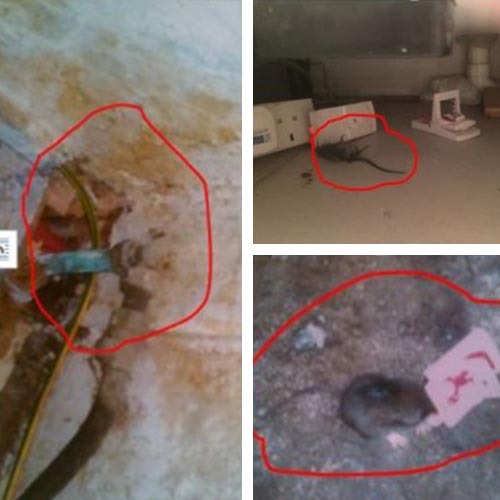 Pictures of rated properties on Asktenants.co.uk showing rats, mice and dangerous wiring. 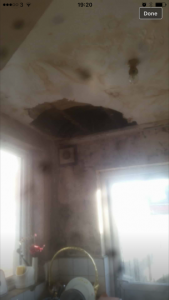 Pictures of a rate property on Asktenants.co.uk showing a collapsed kitchen ceiling. The kitchen ceiling just fell off, council and landlord does not respond. Cannot get out as no one will rent to someone who is on benefits. What we find so astonishing is that we live in the 21st century in a developed country yet people are living in conditions like this. Sadly, the severe housing shortage means there really is little they can do. Saaher Muzafer and his wife rated their basement flat in Richmond after moving out following a burglary. The unfortunate tenants shared in their review that jewellery worth over £10,000 was taken during a break in. Following the incident, the only measures the landlady took to secure the broken into basement flat was to board up to the back door. Without a back door, it became hard to ventilate the property and condensation started setting in the flat making the air stagnant and an unpleasant for the couple and their two young daughters. This wasn’t the first time the couple has had problems with the property. Fourteen months after moving in, water began seeping through the kitchen floor forcing them to move out for three weeks. When we first moved into the flat we were very happy. It was in a good location for my job, for the children for school and having been completely refurbished before we moved in it was in good condition. The problems began 14 months in. 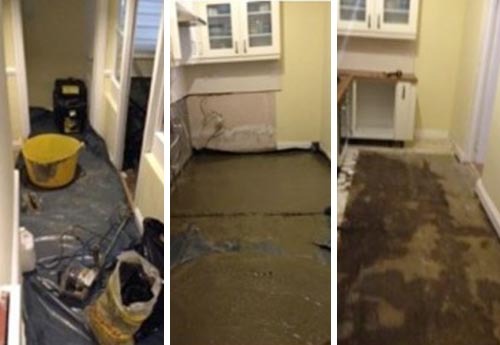 In June 2015 we noticed water coming up under tiles laid on the kitchen floor. Historically our landlady was slow at repairs, so as this was such a big job and a huge problem for us, I sourced a local handyman and put the two in touch. The next issue came after we got broken into. This happened on 5th December and the only works to repair the door the thieves broke in was to board it up. As the door was one of the primary ways of getting air into the basement property, condensation occurred. The reason for the lack of willingness to make the repair was that it was too close to Christmas – Christmas was 20 days away. It was bad enough being broken into and the mental trauma that came with that, but then to be living in a flat that didn’t feel secure with condensation was the final straw. We gave two months’ notice on the property and moved out a month later to a flat across the road which we’re very happy in. I ended up in dispute with the landlady with over-paid rent. She claims nothing is in dispute, however, my argument is that I paid full rent for three weeks when we were unable to live in the property. I was able to win the case in county court on 16th of February after 1 year of legal process, court ordered landlady to pay £1,400/. This is the first time I’ve rented property and it’s been really stressful. The landlord and the agents hold all the power so having a place to go, like Asktenants.co.uk is great. Tenants have no voice and little protection. After giving two months’ notice, Saaher decided to move out a month early. Asktenants.co.uk: We are hoping the site, and in particular the landlord ratings, will help bring some balance back to the rental market and promote good relationships between tenants and landlords.